Chopped and Screwed (sometimes called screwed and chopped or slowed and throwed) refers to a technique of remixing hip hop music which developed in the Houston hip hop scene in the 1990s. This is accomplished by slowing the tempo down to between 60 – 70 quarter-note beats per minute and applying techniques such as skipping beats, record scratching, stop-time, and affecting portions of the music to make a “chopped-up” version of the original. Preceding the early 1990s, most Southern hip hop was upbeat and fast, like Miami bass and crunk. In Houston, a different approach of slowing music down, rather than speeding it up, developed. It is unknown when DJ Screw definitively created “screwed and chopped” music: although people around Screw have indicated any time between 1984 to 1991, Screw said he started slowing music down in 1990 and also in Tulsa Oklahoma Dj Dinero And Dj Z-Nasty helped popularize Chopped And Screwed music in the Mid South. There is no debate, however, that DJ Screw invented the music style.” He discovered that dramatically reducing the pitch of a record gave a mellow, heavy sound that emphasized lyrics to the point of almost storytelling. After messing around with the sound for a while Screw started making full length “Screw Tapes”. At first the music was only referred to as “Screw music”, was limited to the South Side of Houston, and was seen as laid-back driving music. As Screw’s tapes started to gain popularity he started selling his tapes for around $10. Screw was known to feature some of Houston’s most renowned rappers from the South Side. This eventually led to the formation of the Screwed Up Click. Between 1991 and 1992, there was a large increase in use of purple drank in Houston. Purple drank has been considered to be a major influence in the making of and listening to chopped and screwed music due to its perceived effect of slowing the brain down, giving slow, mellow music its appeal. DJ Screw, however, repeatedly denounced the claim that one has to use purple drank to enjoy screwed and chopped music. Screw, a known user of purple drank, said he came up with chopped and screwed music when high on marijuana. In the mid-1990s, chopped and screwed music started to move to the North Side of Houston and to such people as DJ Michael “5000” Watts and OG RON C. It wasn’t long until a rivalry between north and south Houston started over who were the “originators” and who were the “adopters”. Michael “5000” Watts always gave credit to DJ Screw as the originator of chopped and screwed music. It is also believed that Michael “5000” Watts came up with the term “screwed and chopped”. As time passed and a younger generation got into the style, there became less worry over who was an originator of the style and who was an adopter. In the late 1990s, with the help of P2P groups such as Napster, chopped and screwed music spread to a much wider audience. In 1999, PSK-13, an associate of DJ Screw and the Screwed Up Click (also a member of the South Park Coalition), released a screwed version of his album Pay Like You Weigh 5000  which was one of the earliest examples of a full length album being given the treatment. 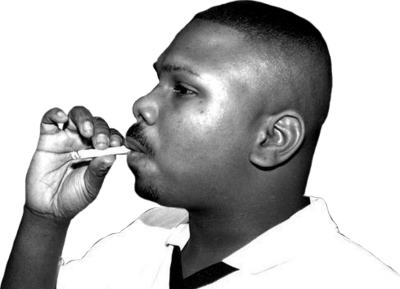 On November 16, 2000 DJ Screw died from a lethal combination of codeine and alcohol. Shortly after the passing of Screw, screwed and chopped music spread all over the southern United States. Later in 2000, the Memphis based group Three 6 Mafia came out with their song “Sippin’ on Some Syrup”. The song at first was just a minor hit but later became one of Three 6 Mafia’s most popular songs. In 2001, 8Ball & MJG released a screwed version of their album Space Age 4 Eva (2000). The mixing was handled by Michael “5000” Watts of the famed Swishahouse, being the first screwed and chopped release on a major label. In 2003, David Banner released a screwed and chopped version of his album Mississippi: The Album, being a first by an artist from Mississippi. In 2005, the first screwed and chopped albums were added to the iTunes shop catalog. In 2006 Chamillionaire’s The Sound of Revenge (Screwed & Chopped) by OG Ron C became the most successful screwed and chopped album to date. In 2011,University of Houston Libraries acquired over 1,000 albums owned by DJ Screw.Some of the albums will be part of an exhibit in early 2012 and the rest available for research in 2013. Today it is still common to see screwed and chopped versions of mixtapes and albums released alongside the regular speed versions, sometimes in a double disc format with one disc screwed and the other regular speed. Chopped and screwed music was created by DJ Screw in the early 1990s. Part of the chopped & screwed music scene is a beverage known as purple drank (the active ingredients being codeine and promethazine; the color purple, which is usually present as a dye in the “drank,” has also become a symbolic color or motif to identify chopped and screwed versions of songs or whole albums. The 2007 documentary film Screwed In Houston produced by VBS/Vice Magazine details the history of the Houston rap scene and the influence of the Chopped and Screwed sub-culture on Houston hip-hop. *Article Published By Mississippi Sipp Of Kandy Paint Content on behalf of Wiki and the Chopped & Screwed Culture.